There’s a new challenger in the music streaming space. On Thursday, Google announced YouTube Music, its latest attempt to get music fans to pay for unlimited streaming. The new service launches on May 22, but how will it compare to Spotify, Apple Music, and other streaming services, like SoundCloud and Tidal? Here’s everything we know about YouTube Music so far, for anyone curious about switching to the newest player in town. While YouTube Music is not yet available, screenshots of the service suggest it’ll work a lot like Spotify does. You’ll be able to use the service to browse songs and albums, save them to a library, find trending music, and explore and create playlists. Pitchfork reported that YouTube Music will make use of Google Assistant to help recommend songs based on your listening habits along with the time of the day and location. Apple Music’s original differentiating factor used to be exclusive albums from artists like Drake, but right now its main unique features are its Beats 1 radio shows and playlist line-up. Spotify offers its own editorialized playlists along with personalized playlists like Your Daily Mix and the service started doing its own podcast. Tidal similarly offers up a number of exclusive podcasts and editorialized content. Ultimately in 2018, the features of these platforms are increasingly blurring into one. Setting YouTube Music’s expansive video catalog aside for a moment, your preference might just lean to where you’ve already devoted more time and energy maintaining and curating your own playlists. YouTube Music’s distinct advantage compared to all other streaming services is its catalog. Apple Music boasts over 45 million songs, while Amazon Music, Spotify, SoundCloud Go, and Tidal, offer tens of millions of songs—certainly more songs than any one person could expect to listen to in a lifetime, or maybe even ten. YouTube Music’s advantage in this space is simply that it not only provides officially licensed music, but also user-generated music like covers, remixes, and concert footage. Even memes that are sparked by songs can be offered. That range of options is something that no other music streaming platform is able to compete with in the same way. Google’s new service will come in two tiers. 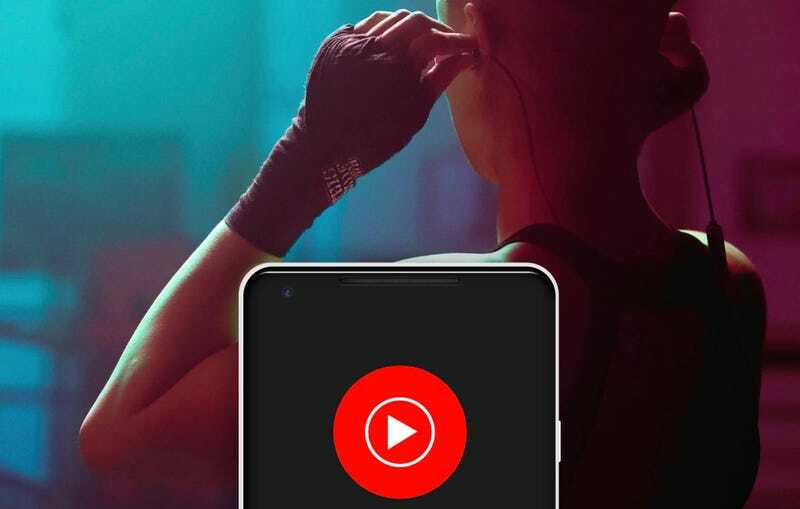 There’s YouTube Music, a free, ad-supported tier, and YouTube Music Premium, which will cost $10 for ad-free access to music and background listening (so when you minimize the app on your phone, music will continue playing). That puts it at the same price as Apple Music, Spotify, SoundCloud, and Tidal. Amazon Music, which is free if you subscribe to Amazon Prime, does offer a $8 version that comes with access to Amazon’s entire library of songs. SoundCloud offers a $5 version with ad-free and offline listening, but doesn’t allow access to its catalog of officially licensed songs. For “YouTube Premium” subscribers (that’s the new name for the ad-free YouTube Red service), a YouTube Music Premium subscription will come free. If you don’t wish to pay $10 for the ad-free tier of YouTube Music, then you’ll experience advertisements while listening to music. Spotify and SoundCloud both offer ad-support listening options on their services, too, but Apple Music, Amazon Music, and Tidal don’t offer ad-supported listening. At launch, YouTube Music will only be available in the United States, Australia, New Zealand, and Mexico. Google says the service will “soon” expand into Austria, Canada, Denmark, Finland, France, Germany, Ireland, Italy, Norway, Russia, Spain, Sweden, Switzerland, and the U.K.
Apple Music is the most-widely available music streaming service, as it reaches 115 countries. Spotify can be found in 67 countries, and SoundCloud Go, the premium version of the service, can only be used in less than 20 countries. But if you don’t live in a country were YouTube Music is offered, that doesn’t preclude you from just opening up the regular YouTube app and watching music videos.